Zabeel and Galileo combine in this fabulous cross of the world’s most successful staying families to produce the New Approach x Cornelia Marie colt I purchased at the Melbourne Premier Sale. New Approach’s is by Galileo – the world’s most successful living stallion – so it is no surprise that his sire sons possess all the classic qualities he has passed through European gene types through the years. New Approach is a 5-time Group 1 winner in Europe and some of his most impressive victories were in the Epsom Derby (2400m), British Champion Stakes (2000m) and Irish Champion Stakes (2000m) when he was a 3-year-old. His other Group 1 victories came in the Dewhurst Stakes, Irish National Stakes as a 2-year-old. In just 11 starts, New Approach finished his racing career with an 11:8-2-1 record and was previously shuttled to Australia where he was fully booked. In 2014, New Approach’s yearlings sold for a whooping average of £163,000 (approx $310,000 AUD)! 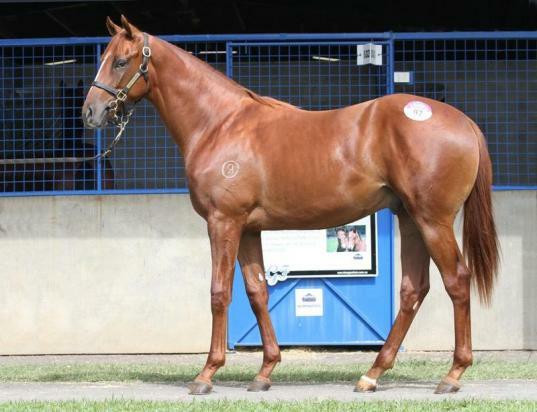 The lack of interest in staying pedigrees here by Australian breeders has really played to our advantage because it enabled me to pick up this colt at a fabulous price of just $85,000. As a stallion, New Approach is most well known in Australia as the sire of May’s Dream who won the Group 1 Australasian Oaks. However, his greatest success came in his very first crop when Dawn Approach won the Group 1 Dewhurst Stakes and Group 1 National Stakes as a 2-year-old. The following season, he came back to win the Group 1 2,000 Guineas by a whopping 5 lengths before going to Royal Ascot to claim the Group 1 St James Palace Stakes. This colt on offer is out of Cornelia Marie who had 20 race starts to win $157,655 in prize money. Cornelia Marie is a Reset mare which means she caries the all-conquering Zabeel line littered with staying prowess. Reset has done a spectacular job as a stallion by going on to produce Cox Plate winner Pinker Pinker, Caulfield Cup winner Faulkner, VRC and SA Derby winner Rebel Raider and most recently Crown Oaks winner Set Square. What I like about this pedigree is the versatility within. Physically, he looks a lot like Reset and I am much more confident of him coming on as a 3-year-old like so many from within this pedigree do. Overtime, I see him developing as a middle distance prospect with the potential to stay over longer trips as he matures with age. Something that has made staying prospects much more attractive in Victoria over the past month is the additional of Super VOBIS and VOBIS Gold staying races added to the racing calendar. In the past where it just wasn’t super attractive to race a stayer in Victoria due, changes have been put in place to increase VOBIS bonuses to these races which can be earned beyond their 3-year-old seasons. To purchase a share, or to receive a free information pack about this colt, please email admin@tonynoonanracing.com.au or call our office on (03) 5976 2607.